Below is a list of workshops being offered at Expect Change 2016 National Advisory Organizations conference. If you have already registered for the NAOC conference, we highly recommend that you visit the conference mobile app site for the latest information. Please click here to access the mobile app site at NAOCapp.org. On this site, you can register for workshops and view the conference schedule. First time on the app? Your username is the email adddress that you used to register for the NAOC conference. Friday, April 22, 1:45 p.m. – 3:00 p.m.
As volunteering and service become part of our nation’s cultural norm, donors of time have become more sophisticated requiring new methodologies of engagement. This workshop will examine volunteering in the 21st century, the relationship between the giving of time and finances, and strategies that can provide The Salvation Army a new generation of committed individuals who give of their time and their money . This workshop will focus on how Women’s Auxiliaries can provide resources, both time and money, expertise, creative ideas and manpower that can enable the Army to bring about change in the lives of those who are in need. That happens through an effective leadership team and multi-generational membership. See how you, as a Women’s Auxiliary member, can come alongside The Salvation Army officers and employees to make a difference in your community. This workshop will focus on OTHERS, a Salvation Army initiative for trade that is practical and meaningful. Learn how The Salvation Army is empowering women around the world and how you can be involved in providing opportunities for independence, dignity, and hope. Be a part of women helping women. This workshop is strategic planning simplified, designed for board members as a tool to help get results. The conversation objective is to equip and assist board members – from small community boards, to large metro boards – achieve maximum program impacts, efficiently and effectively. Echelon is a community of professional young adults that work alongside The Salvation Army. Echelon seeks to engage the next generation by providing opportunities of fellowship and networking, donations and fundraising, and service and volunteering. This workshop is a practical guide for introducing the strategy to start and successfully thrive an Echelon in your community. The workshop will predominately focus on Millennial Engagement in the Workplace. It will begin by providing a portrait of the Millennial generation, followed by applied strategies and best practices that address a multitude of issues that exist within the workplace. Expect the workshop to change false stereotypes and myths that pervade while ultimately setting the record straight about facts versus fiction. In addition, it will explore the significance of technology, the emergence of social media and the importance of education for this “digital native” generation. The research will also illustrate how to align their ethical values and develop more collaborative relationships. Lastly, it will provide recommendations how to motivate Millennials and describe organizational leadership styles that are conducive. Ultimately, the workshop is designed to equip The Salvation Army to lead its Millennial associates within their multi-generational workforce. 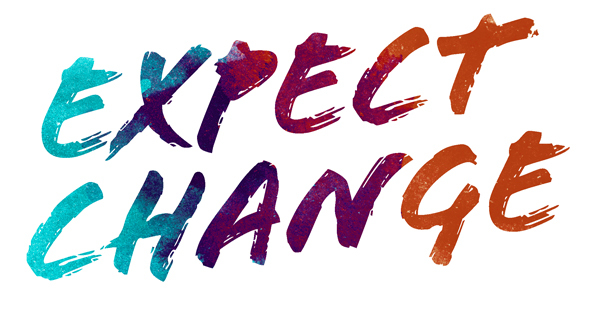 Expect change to support all its stakeholders (employees, volunteers, donors, customers, Board members, advocates). An effective Advisory Board is essential to achieve success in local Salvation Army service to your community. This workshop will provide you the tools to assess your current board, create a plan for identifying and recruiting new members, and build and sustain a board that has meaningful work to do, knows what expectations are, and is charged with and held accountable for their achievement. Topics will include structure and composition of an effective board, working well with Officers, planning, monthly committee and board meetings that further your goals, engaging the board in fundraising, and more—including Q&A to address your questions and challenges! This hands-on workshop will walk participants through Claire Diaz-Ortiz's 5-step TWEET Model for succeeding on Twitter. With powerful strategies and case studies, the session will leave you directed and empowered as you strive to make social media work for you. A presentation of facts about how, why, and which donors respond to national advertising campaigns. The workshop will also include key insights about both financial and in-kind donors, and where the two intersect. An overview of sticky communications situations with suggested responses, approved messages and resources at your disposal. Focus will include efforts to strengthen relations with the LGBT community. Disaster events may be chaotic, but The Salvation Army's disaster response shouldn't be! This workshop tells all about how large-scale disaster operations are initiated, how field teams are organized, and how those disaster teams interface with local commands and headquarters. Particular emphasis will be placed on the critical connections between effective fundraising, public relations and operational awareness with step-by-step guidance about how to make your next disaster event seamless between these three disciplines. National Legal Counsel will discuss some of the most important legal issues that face The Salvation Army today and how these issues are being addressed nationally. This workshop will present one of the largest Thanksgiving meal events in The Salvation Army world, providing over 17,000 meals for the people of Orlando, Florida and in partnership with Golden Corral Restaurants for past 23 years. In addition to basic information about this event and the resources needed for it to take place, this workshop will also discuss crucial corporate partnerships as well as the organization and logistics needed to recruit and organize the 800 volunteers who serve each year. Few development initiatives are as visible as a capital campaign. You will learn key elements required for planning and carrying out a capital campaign. As more high net worth donors sign the giving pledge and commit to dedicate the majority of their philanthropy, do you wonder how The Salvation Army can access some of that resource? Using the biennial Study of High Net-Worth Philanthropy sponsored by Bank of America based on research conducted by the Indiana University Lilly Family School of Philanthropy, we’ll delve into the motivations, inclinations, and attitudes the those wealthiest donors. This session will examine the current profile of our Salvation Army donors, how they came to be supporters and why they continue to support at levels envied by other NPO’s. It will also examine the challenges and opportunities that exist for future support, including the engagement of the seemingly-elusive younger donors. Bringing Christmas to 50,000 children each year is all part of the Angel Tree program in the Dallas-Fort Worth area. Learn about a highly-successful model that doesn’t stop at the tree. There are exciting new avenues for growth in financial donations that fill the gap between the due date for Angel Tree gifts and the remaining shopping days of the season. Make sure your late shoppers have an opportunity to donate! The manner in which for-profit and not-for-profit organizations work together has evolved, especially following the 2008 economic decline. Join us as we discuss how these changes have impacted the charity landscape, and how The Salvation Army can plan to maximize corporate partnership opportunities moving forward. This workshop will seek to take a look at the past to measure and identify the success of this organization; it will look around us at current day services and programs to examine the possibilities and how we can retain what is working and set aside what has exhausted its usefulness; and finally, it will look toward the future to see if we can measure up to the demands of our society or if we should just lay down our swords! Participants in this workshop should come away with renewed appreciation for the history of The Salvation Army which has created a high bar for the future. Stimulating dialogue will be encouraged to help us look at the future with renewed sense of purpose and ideas to keep our organization meeting needs and impacting lives for generations to come. A nationwide heroin epidemic is destroying families, robbing souls and crippling/killing our youth. Drug addiction is at the heart of a multitude of problems our states are facing, including poverty. Funding for prisons is expanding while services to the poor are cut, bringing more families than ever to the doorstep of The Salvation Army. Learn exciting and successful ways to educate lawmakers/those affecting public policy about the work of The Salvation Army ... and the powerful effect and results of this awareness on the Army and those we serve. This workshop will discuss the foundational pillars of the Adult Rehabilitation Centers (ARC) program, plus how the operational changes and a "One Army" approach is transforming the future of this vital mission. Takeaways will be: 1) an understanding of the ARC Program; 2) recent changes to become more effective and efficient through a national strategy and a One Army approach; 3) internal and external threats and potential partnerships for donations in-kind. This presentation will introduce you to the guiding principles and implementation of The Salvation Army’s Pathway of Hope approach. It will also provide strategies for utilizing all available resources to improve programmatic outcomes. Friday, April 22, 3:30 pm – 4:45 p.m.
Echelon leaders and experts representing chapters across the country will spearhead the conversation about the exciting, creative ways that Echelon is ushering the next generation into a bold and impactful embrace of The Salvation Army, as well as review the accomplishments of Echelon chapters as a whole in their annual report. This work shop is relevant to existing Echelon members, liaisons, officers, and mentors, as well as potential chapter representatives. Six Tips to Run Better Board Meetings: Must - Do's to Ensure and Effective Board Meeting and Avoid "Melt Down", Insurrection and AWOL! A powerful presentation on effective advisory board meetings and how to engage your board. Get ideas for strengthening your meetings, making them more efficient, meaningful, interesting and energized. Workshop purpose: to give members of Salvation Army Women’s Auxiliaries an opportunity to learn creative and innovative technologies and strategies for fundraising, as well as benefit from the presentation of several workable and successful fundraising activities. The workshop will present fundraising ideas for large and small Women’s Auxiliaries. Discussion on all fundraising methods will be in keeping with The Salvation Army policy and practice. Are you an established Women's Auxiliary but having trouble recruiting new members who are willing to work and help the local Salvation Army? Are you thinking of starting an Auxiliary but don’t know where to start? This workshop will give insights in how to recruit and retain good members. It will also address the issue of recruiting younger members, which many times can be a difficult task. The Trifecta of Special Events: Planning, Promoting, Succeeding! A three-part workshop: 1) Getting it right in planning and reaching your fundraising goal when hosting a special event; 2) Using the vast resources available in telling the Army’s story; and 3) How to get the media on your side. Learn from the #1 anchor in the Denver market the art of building effective partnerships with local media and innovative ways to make sure your story is heard. What does the rest of the country think about The Salvation Army? See national tracking study results showing how The Salvation Army stacks up on things like recognition and favorability. The workshop will also include social media listening and chatter analysis showing overall brand conversation and sentiment. See how to measure your campaign in new ways. This workshop will tackle ways to show measurement beyond impressions and return on investment. Most importantly, it will help guide you and your team in setting the right expectations in order effectively measure a campaign. Be prepared for a natural disaster in your area by reviewing objectives, key messages, best practices and pitching tips before the worst happens. Session will also focus on disaster anniversaries, storytelling and roles and responsibilities for communications and fundraising at a national, territorial and divisional level. The Holy Grail in online engagement is strong, compelling content that people want to share. Video, infographics, storytelling, creating key moments…learn how content can help you create deep and lasting relationships with existing and future supporters. America runs on Dunkin' and disasters run on resources -- particularly money and materials. This workshop will look at effective fundraising techniques during a disaster operation and share success stories about corporate engagement both before and during disaster operations. We'll also look at the pitfalls and potentials of in-kind gifts -- and discuss strategies to transform disaster-specific donors (both individual and corporate) into regular donors. TrueSense Marketing recently completed a poll of TSA’s prime prospective donors in all four Territories. The results enable us to make statistically reliable analyses of these donors by age, and we will be presenting the key findings and recommendations. This is a unique opportunity to listen to our current and future donors: How do they see us? What do they think we should be doing in their community? What channels do they use with other charities? How does this vary by age? By Territory? And how can we use this information when building a strategy? The real estate industry is embracing The Salvation Army in spectacular ways that are adding unprecedented rings to the Red Kettle season. This workshop features two exceptional programs to involve the industry in your market … from REALTORS and title companies to credit unions and mortgage companies. JoAnn and Joseph Callaway are nationally-recognized in the industry and opening doors across America to the major associations within the industry. They founded “Real Estate Wednesdays” in Phoenix in 2013, engaging industry members to bell-ring for the Army every Wednesday between Thanksgiving and Christmas. “REALTOR Ring Day” began in 2010 in Minneapolis and North Dakota with a few hundred REALTORS. Today, the program has expanded to 30 states with REALTORS ringing for a single day during the season. Both programs offer turn-key collateral and endless numbers of success stories … raising money and awareness for The Salvation Army in tremendous ways. Major donor involvement is crucial to every successful annual, capital or endowment campaign. This workshop will teach you how to identify, cultivate and solicit key donors with a practical six-step strategy: Research, Romance, Request, Recognition, Recruitment and Report. Come learn how to invite major donors to be a part of what God is doing through your corps. Touched by an Angel: Are We Sitting on a Gold Mine? The Salvation Army’s Angel Tree donors represent the largest group of under-thanked and under-cultivated partners that we have. What can we do to change that? What makes a successful planned giving program and how can we generate more planned and estate gifts to benefit your command area? This workshop will explore a variety of successful Planned Giving initiatives from around the country. A panel of the Army’s leading planned giving representatives representing the four territories will share proven strategies they are using for promoting planned giving - what is working - and how we can partner to secure the future of The Salvation Army. This workshop will offer an overview of the mission and operating models of the Kroc Centers across the country. We will discuss the key ways in which the centers are serving their specific community and how the Kroc gift is being leveraged and expanded for the benefit of the greater Salvation Army. Kroc Centers represent a new model for meeting human needs and this creates both challenges and opportunities for The Salvation Army. Everything you want to know about Pathway of Hope and didn’t know who to ask . . . from the visionary to the front line. Saturday, April 23, 11:00 a.m. - 12:15 p.m.
Strategic Planning and Fundraising - Make this Prosperous Combination Work for You! Thinking about a major gifts or capital campaign initiative? Learn some great tips on how to be a stand-out non-profit in your market … secrets for successful pre-planning, planning and execution … all tailored for corps officers, board and committee members. The Advisory Board can and should be one of the strongest and most efficient tools of the local Salvation Army to accomplish its Mission. In this Workshop we will explore some of the common reasons for Boards not reaching their full potential and discuss strategies to build the strongest Boards possible within the Corps community. We will approach the topic from the Corps Officer and the Board Chair perspectives. This Workshop is designed to be very practical and not theoretical so attendees will walk away with healthy options to explore when they return home. Red Kettle Clubs = Enthusiastic Teen Volunteers. Just Do It! High school students represent an enthusiastic, creative group of committed volunteers who take pride in giving back to their local community. Salvation Army corps officers have a unique and significant opportunity to help influence the lives of these young people while they embrace and encourage the movement of Red Kettle Clubs. Along the way, we are welcoming and nurturing a new generation of supporters. A student officer, school sponsor, RKC parent and corps officer will share insightful start-up details along with creative ideas for officers and club members … all to benefit the local corps in exciting, meaningful ways. There is no magic bullet that will help us survive media scrutiny during tough times. Our instinct is to hide and wait for tough times to pass, but that never works. Learn how to prepare for and face a crisis in a way that protects our Army and projects our mission. We’ll talk about the what to do to head off most crises, work through the inevitable tough times, and keep crisis management and mitigation top of mind. We are in the middle of the greatest change in our culture since the invention of the printing press. It's a fundamental revolution that will impact the way we do social services, business, education, relationships, and ministry. If you have a message the world needs to hear, then you can't afford to miss this timely workshop. In his acclaimed book "Unique: Telling Your Story in the Age of Brands and Social Media," Phil Cooke changed everything the Christian community knows about sharing a message with the culture. Now he'll help you discover how to create a platform for getting your voice heard. When it comes to leadership and influence, we rarely talk about trust. When we do, it’s usually in terms of honesty and integrity. Questions like: “Can I trust you to honor your word?” or “Can you be trusted with my finances?” usually come to mind. Those questions are important, but the truth is, trust is a far deeper issue. Kathleen will present why trust, in a world centered on media, is crucial today and how pastors, media providers and leaders can build and maintain trust with those they lead. Put your skills to the test! This session will provide group and individual practice exercises in answering difficult questions while accomplishing your own interview agenda! Understanding "Doing the Most Good"
This workshop will review the origins of the Doing the Most Good brand strategy, how Spherical® Branding works, and a review of the most recent national brand tracking research. Expect to receive some tangible next steps for stronger branding in your area, and see how The Salvation Army's brand stacks up against other charities in the minds of our donors and the general public. More and more we are seeing commands across the country that are experiencing a lack on continuity as a result of limited short-term and long-term planning. The session is targeted at providing a clear overview of what a planning study accomplishes to establish a road map for internal operations and external communications/collaboration/outreach into the community. Can our “military-based” organization convert to a donor-centric model? Can donor-centric fundraising help you raise more money? Challenge your current strategies by applying knowledge of the donor pyramid and donor engagement cycle to make smarter choices. Understand the relationship-building power of story. Share best practices. Walk away with proven strategies of engagement … that work! A new generation of Boomer donors is quickly replacing our traditional donors. These Boomers are action oriented. Their parents give out of duty; they give to change the world. That's why your fundraising offer, or call to action, is more critical than it ever has been. Jeff Brooks, creative director at TrueSense Marketing, will show you how to build fundraising offers that excite your donors, motivate them to give, and keep them bonded and engaged with you for the long haul. Learn some specific offers that highlight The Salvation Army’s life-changing work. This workshop will focus on best practices for special events fundraising and include tips on getting your advisory board more involved in your events as well as ideas for special events fundraising for Kroc Centers. What better way to fill the Salvation Army trucks than connect with people who are moving? Learn the details of how Phoenix donations increased by 5,000 “tickets” in the past year and how The Army can best develop and execute a new concept and relationship with the Real Estate Industry. JoAnn and Joseph Callaway, nationally-recognized in the industry, have launched an effort to increase donations that is being directed to title companies, Real Estate Brokers and Agents. With their influence, creativity and inimitable style, they are opening doors for the Army with premiere title companies and industry associations and organizations across America. This session provides participants with an overview of The Salvation Army mission and its role within disaster relief work. It will also cover the work of The Salvation Army in the regions’ smallest communities, run by volunteers as part our Service Extension department. Across the USA, thousands of volunteers represent the Army in their smaller communities. Learn how the Service Extension Program is changing to meet the 21st century needs of residents in those communities. What resources, program components, and practices appear to be most useful and beneficial to supporting client increase in stability and organizational capacity in delivering the Pathway of Hope program? How can this learning contribute to replicating and scaling the Pathway of Hope across the U.S. and internationally? Pathway of Hope is what everyone’s talking about in The Salvation Army. But you may be wondering exactly what it is and how it may affect you and your appointment. This workshop will answer those questions and more! Whether an officer, employee or volunteer, you will soon be interacting with Pathway of Hope and this workshop will help you be better prepared for that opportunity. A panel of individuals that have already implemented Pathway of Hope will be on hand to talk about their experiences (positive and otherwise) and to provide best practices as you prepare to implement this national initiative in your community.